When Do Americans Prefer Brand Name Products? 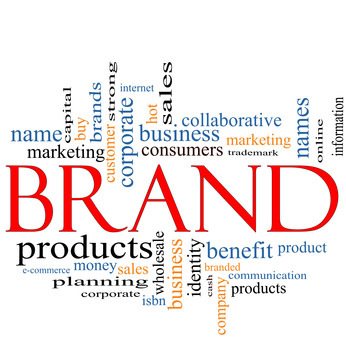 Home › Branding › When Do Americans Prefer Brand Name Products? We’re faced with overwhelming options when we go to shop: multiple different types of oatmeal brands all offering what seems to be the same product with the same health benefits, a dizzying number of car brands all offering comparable safety features, and mattress commercials on every TV channel promising you the very best rest. Does the savvy shopper go for savings and purchase a generic brand? A few years ago, the thought of buying a 65-inch 1080p LED HDTV for less than $2,000 was absurd. HD technology, while dramatically more affordable than in the past, was still an expensive technology, and prices for screens 60 inches and larger remained expensive. All of that changed when Samsung offered the first premium brand name 65-inch 1080p LED HDTV for under $1,000 on Black Friday 2013. Samsung’s Black Friday sale was significant not only because of the historic price point, but because the popularity of the sale reflected an overall preference among American consumers, namely that they prefer certain name brand products, and they are willing to wait for deals to get them. The preference for name brand products over generic ones does not apply to all consumer product categories. Numerous articles like a recent one in the Christian Science Monitor show that some products, such as over the counter medicine, are perfectly fine to buy generic, while other items, like the premium clothing available at retailers like Macys.com, are difficult to replace with generic brands, especially since the name brands occasionally go on sale. The reason for the disparity makes sense, particularly when it comes to commodities like over the counter drugs. Products that have been “commoditized” are more or less the same, regardless of whether or not they are produced by a small unknown manufacturer or a well-established brand. However, there are certain products worth purchasing from well-established and reputable brands—consumer electronics being one of the best examples. According to ConsumerReports.org, Samsung and other well-known name brands use higher quality materials and a more comprehensive service and warranty plan than their off-brand competitors. The big brands do this because their reputations are on the line whenever they sell a product, and they must justify the higher price points they have over their competitors. Off-brand companies, on the other hand, are competing with one another for a part of the market where price is the most important consideration and consumers have less brand loyalty. For these reasons, the off-brand companies may cut corners on materials and service or warranty plans in order to turn a profit on their lower quality products. The true irony is that off-brand electronics often end up costing more than the big brands in the long run because of expensive service terms and potential replacement costs.